All of your content is automatically saved to the cloud. Which is great. But, we also understand that privacy may be an important concern for you. 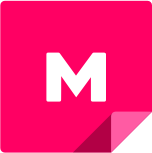 So, this article will tell you all you need to know about the account permissions and privacy settings of MURAL. A user invited to the yellow private room will be able to see all murals in that room. A user invited to one mural (green or pink) in the yellow private room will only be able to see the mural they waere invited to, not the other murals in that room. Users have to be invited to private rooms in order to be able to see them. A user with permission to see open rooms will be able to see all open rooms and all murals inside them. A user without permission to see open rooms will only be able to see the open rooms or murals inside open rooms they are invited to. Admin: administrators can create rooms, grant admin permissions, remove users and manage the workspace billing settings. 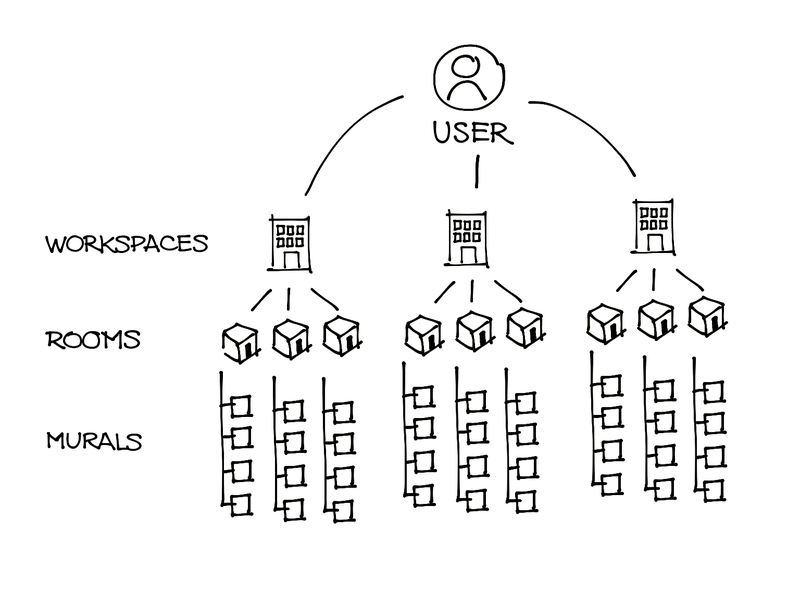 The user who created the workspace is an admin by default, but there can be multiple admins in a single workspace. Create rooms: the admin of a workspace can grant another user the right to create rooms within that workspace. Publish templates: workspace admins can grant other workspace members the ability to publish murals as a template. These murals will appear under 'TEMPLATES' with the content of their original mural fixed in place. Anyone in your workspace can create murals from templates. View open rooms: rooms in a workspace may be public. Admins have the ability to disable the ability of a specific user to discover open rooms. Admin: the user that creates a room is the room admin and can manage the room settings. Collaborator: every user invited to a room is able to see and collaborate in every mural that resides in that room. Create murals: permission to create new murals inside a room. This permission is granted by default when a user is invited to a room. Invite people: permission to invite other people to a room. This permission is granted by default when a user is invited to a room. Duplicate rooms: permission to duplicate rooms by an admin or the room owner. Delete rooms: only the admin of a room has permission to delete it. 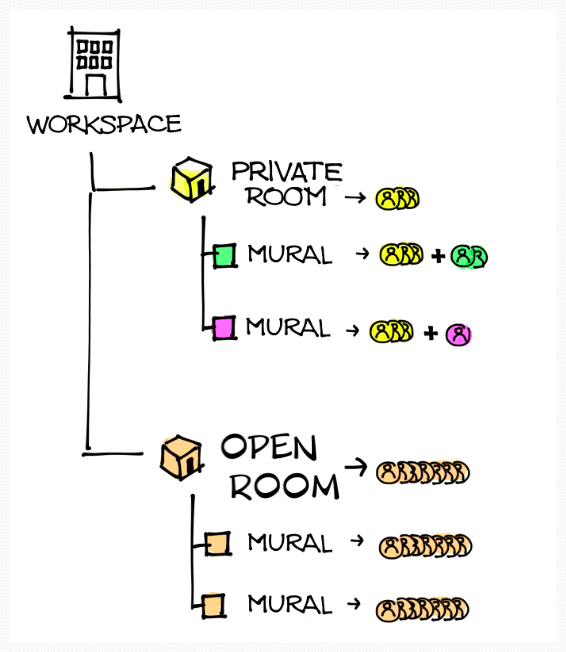 **Note: Workspaces do not automatically pass down their permissions to the rooms. Rooms pass their permissions down to the murals housed inside them. Murals may have additional mural-level permissions. Facilitator: the owner is marked as a facilitator by default, but can give this permission to someone else in the workspace as well. Facilitators have access to the timer and summon feature. Now you're ready to go forth into the world and educate your colleagues on how their MURAL accounts are organized!